Commercial airline travel is one of the safest methods of transportation. Unfortunately, the same cannot be said of smaller planes that are privately owned or operated by charter companies. Aviation accidents occur much more frequently when they do not involve a commercial carrier, resulting in severe injuries, property damage, and loss of life. 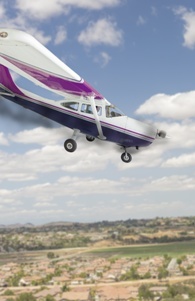 What Are the Major Causes of Small Plane Accidents in Tennessee? Charter planes and private flights are convenient options for travelers looking to escape long lines at the airport. Businesses may invest in popular smaller crafts made by Cessna, Gulfstream, Beechcraft, Hawker, and Learjet to bring in clients or attend cross-country meetings, while these aircraft can also be rented on a per-flight basis. Pilot error. Charter companies employ their own pilots, and the testing and qualifications for these pilots can vary widely. Even a small mistake on the pilot’s part can have devastating consequences for everyone on board. Improper maintenance. While pilots may perform pre-flight checks on their planes, it is ultimately up to the charter company (or owner of the plane) to ensure that the aircraft is in good working order. Defective parts. A defective engine or navigation component can easily contribute to a crash, making the manufacturer of the part liable for the accident. Manufacturing defects. If a brand new aircraft fails to perform as intended, the manufacturer of the aircraft may be held responsible for any injuries. Air traffic controller error. As more and more people invest in private aircraft, the more difficult it is for air traffic controllers to avoid collisions on runways and in the skies. One of these professionals may be found liable for accident costs. Bad weather. Poor weather conditions often contribute to a crash. Injury victims may be able to recover if they were required to fly despite the weather by an employer, or if a pilot ignored the risks in order to profit from the flight. Runway defects. Many smaller airports have runways made of grass, clay, asphalt or dirt tracks, all of which can fall into disrepair. Passenger and pilot injuries. All people onboard the aircraft are at risk of head injuries during impact, broken bones after a rough landing, or strokes and heart attacks due to the trauma of the crash. Bystander injuries. Airport workers and other travelers near the runway may be struck as the plane descends, while planes that make emergency landings outside of airports have even higher risk of bystander injury. Fires. Airplane crashes often ignite the jet fuel in the craft, placing passengers and bystanders at risk of burns, explosions, and smoke inhalation. Property damage. Passenger planes and those carrying small cargo may scatter debris during and after a crash, causing damage to the airport runway as well as nearby buildings and vehicles. Psychological injuries. An airplane crash is a traumatic event, and the survivors often have difficulty coping with flashbacks, anxiety, and grief. Fatalities. In severe crashes, all of the people on board are at high risk of sustaining fatal injuries. If you were injured in a plane crash involving small aircraft, it is vital that you speak with an attorney as soon as possible. Our law firm can help determine which person or entity is responsible for the accident, gather and evaluate crash evidence, and interview witnesses to help you build a strong injury case. We can also identify any jurisdictional issues and protect your interests as you deal with insurance companies and local authorities. Contact GriffithLaw today for a free evaluation of your case, or order a free copy of our book, The 10 Worst Mistakes You Can Make With Your Tennessee Injury Case.